Lina Johansson is joint Artistic Director of Mimbre, an acrobatic theatre company fusing acrobatics, dance and humour to create visual poetry in unconventional performance spaces. 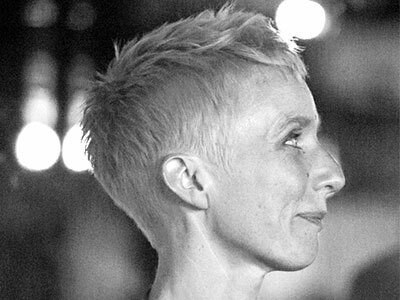 Lina also works as a director, choreographer and movement director for circus, theatre and opera. Originally trained in circus skills and specialising in acrobatics and acrobalance, she acquired further training and influence from a variety of movement and performance practices. These have shaped and informed her style and the physical language she has developed for a range of theatrical setting; always pursuing heightened physicality, stretching the subtle and spectacular ways that choreography and physical imagery can be used to enhance or tell a story. Directing/choreography credits include: director, Wondrous Strange (RSC/Mimbre); acrobatic choreographer, Orfeo (National Opera House/Roundhouse co-production); associate director, City of the Unexpected (National Theatre Wales); director Falling Up, Bench (Mimbre, UK and European tours); director, Polymer –Udderbelly and Mergence (graduation shows for National Centre for Circus Arts); director, What We Do Is What We Love (Roundhouse); acrobatic choreographer, Boris Gudinov (RSC).